Not only is Pulp Fiction Quentin Tarantino’s most quotable film, it also marked a significant turning point in movie culture. Knowing and eclectically referential, this was a fun yet ultimately fond love letter to cinema, complete with articulate nods to classic movies such as The Great Train Robbery (1903) and His Girl Friday (1941). However, Pulp Fiction cannot simply be boxed in as a film buff’s mishmashed homage. Transcending narrative structure and genre with effortless grace, this is arguably the iconic experimental film of the 1990s. Oh and let’s not forget its also really cool. From the hip soundtrack to the sharp dialogue, there is a reason why the poster remains a staple of university bedroom walls to this day. It may then come as no surprise that this post-modern masterpiece has been voted as the best film of the 1990s by Rolling Stone, beating The Big Lebowski and Goodfellas – which came in at second and third place respectively. If Hollywood in the 1990s had to be defined by a single image it could very well be John Travolta dancing with Uma Thurman in Pulp Fiction. It may have gotten creamed at the Oscars by Forrest Gump, but good luck finding someone today who thinks that was a good call. Pulp Fiction is the movie of the decade, not just that incredible year of 1994. It kickstarted an incredible indie revolution that continues to this day and forever proved that America can embrace non-traditional, subversive movies. It also brought John Travolta back from the the sad depths of Look Who’s Talking Now. That alone is a pretty remarkable thing. This isn’t the first time Pulp Fiction has topped polls and it certainly will not be the last. Indeed, in terms of enduring popularity and influence; Pulp Fiction remains unparalleled. Revered by film critics and audiences alike, Pulp Fiction’s universal appeal – previously unheard of for an independent film – is in itself phenomenal. However, like many trailblazing pieces of art, Pulp Fiction still has the power to divide. For a film so rife with cultural references, it has now become one of the most overly referenced. Those who haven’t even seen it will no doubt have seen endless parodies; taking away some of its impact. There are those who lambast the film for being overrated, over-discussed and with a focus on style over substance. It’s sometimes regarded as overly cynical and nihilistic to the point of being meaningless. There are others who understandably take issue with the gratuitous, glamourised violence as well as the way in which racial slurs are used. Tarantino’s films aren’t even sadistic. Sadists take human suffering seriously; that’s why they enjoy it. No: Tarantino is morally empty, seeing a shoot-out as akin to dancing cheek-to-cheek. He sees violence as nothing. Compare his oeuvre to the work of a genuine cinematic sadist – Alfred Hitchcock – and you see the difference. Precisely because Hitchcock enjoyed inflicting pain, the pain is always authentic, and it is never emptied of its own inner horror. 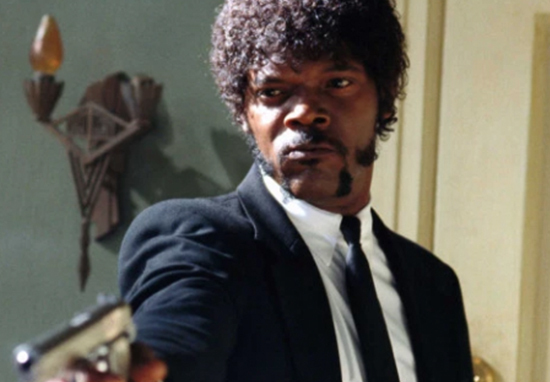 Do you think Pulp Fiction deserves to top the list?